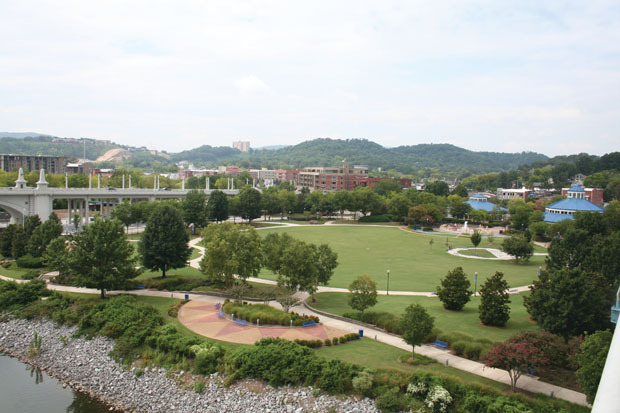 The winner of our Best Outdoor City is Chattanooga. The city Walter Cronkite famously called the dirtiest in America in 1969 has reinvented itself into the outdoor mecca of the South and a model for green transformation. How did this traditionally industrial city once known as the “Pittsburgh of the South” accomplish such a feat? Turns out it’s because of its historical manufacturing background, not despite it. Spreading out from Moccasin Bend on the mighty Tennessee River, Chattanooga has always been a gateway to both the South and the West. The site was a hub of commerce as far back as the 17th century when French trappers established trade routes on the banks of the Tennessee. 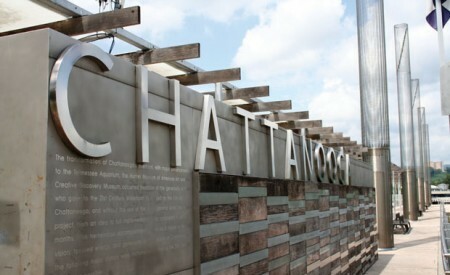 Chattanooga also played major roles in the French and Indian, Revolutionary, and Civil wars, a testament to its historical significance as a linchpin city. The steel and coal industries helped the city earn its dirty reputation, but then a funny thing happened: Chattanooga’s leaders woke up. Community businessmen realized that the city’s trajectory was not economically or environmentally sustainable. We are talking about a downtown in which workers had to change their shirts at lunch due to the grit and grime in the air, where you could barely make out the surrounding mountains due to the smog. 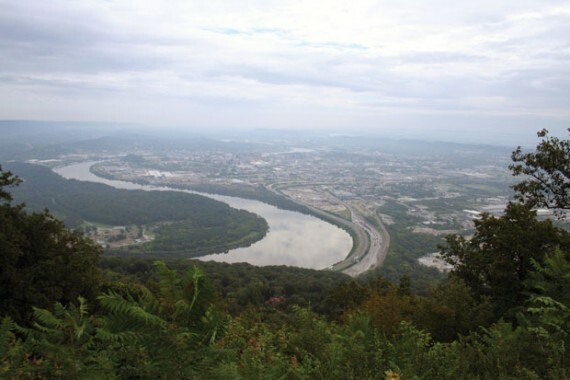 Chattanooga reached a cultural and socioeconomic low-point in the 1980s as de-industrialization decimated its population. 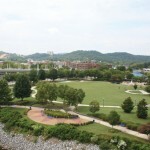 From those ashes, both figurative and literal, rose an idea to revitalize the downtown area with a $120 million investment in a riverwalk complete with paths, pocket parks, river access, and music venues centered around the Tennessee Aquarium and downtown art museum in one of the largest public/private development projects in the nation. 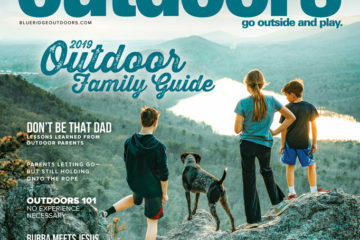 Philip Grymes, executive director of Outdoor Chattanooga, says the changes not only affected the urban landscape, but the community atmosphere of the city as well. Those efforts include a progressive citywide bike share program, a model for larger cities such as Chicago and San Francisco, and because the public had significant input in the planning process, there is a sense of responsibility for the downtown area that was lacking before. Spiral out from the revitalized downtown and it’s easy to see how the city has put in the effort to re-label itself as a model for the outdoor lifestyle. 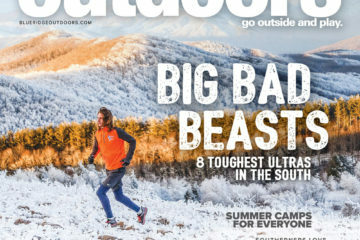 The Rim Trail on Lookout Mountain and the new Stringer’s Ridge system two minutes from downtown offer some of the best trail running in the nation. Mountain biking at Raccoon Mountain and Five Points on Lookout each boast over 20 miles of classic singletrack. 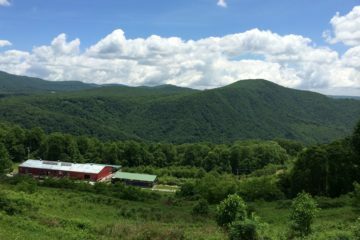 The Cumberland Trail over Signal Mountain and the soon to be completed Cloudland Connector Trail are long distance hiking trails with stunning views. Need something more extreme? Learn to hang glide at Lookout Mountain Flight Park. 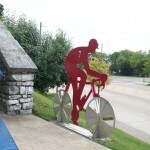 The fact that Chattanooga will host the U.S. Cycling Championships from 2013-15 along with established events like Riverbend, a nine-day riverside music festival, only add to the city’s reputation. 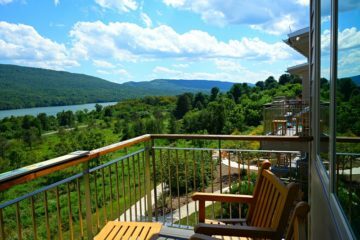 The recreation opportunities, Rock City, and Ruby Falls have always been there, only now the city attracts the outdoors enthusiast to not only visit, but also to stay. 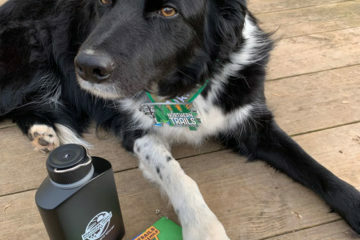 Those people include two of its greatest outdoor ambassadors. Grymes visited Chattanooga from western North Carolina with no plans to settle down; that was in 1996. Al Smith, the general manager at the Southside hostel The Crash Pad, came to Chattanooga for the extensive climbing opportunities at places like the famous Tennessee Wall and Sunset Rock, both 20 minutes from downtown. As more and more people come to Chattanooga because of the culture and vibe, the city has grown an extensive community of citizens who are willing to put in the work building multi-use trails at places like the Lulu Lake Land Trust and Prentice Cooper State Park. Connecting all those hundreds of miles of trails within different systems is now the name of the game, says Grymes. “Thanks to the efforts of our outdoor community, all the trails will be connected right to downtown,” he said. The mix of urban and outdoor life seems to be ideal in Chattanooga these days. People come for the outdoor recreation opportunities and stay for the urban economy and low cost of living. 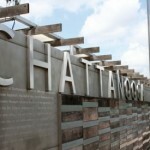 Best Mountain Town – Chattanooga from Summit Publishing on Vimeo. Rent a board and SUP at Ross’ Landing on the flat water of the Tennessee River right downtown. Check out SUPPaddleboard.com for free clinics and rentals. 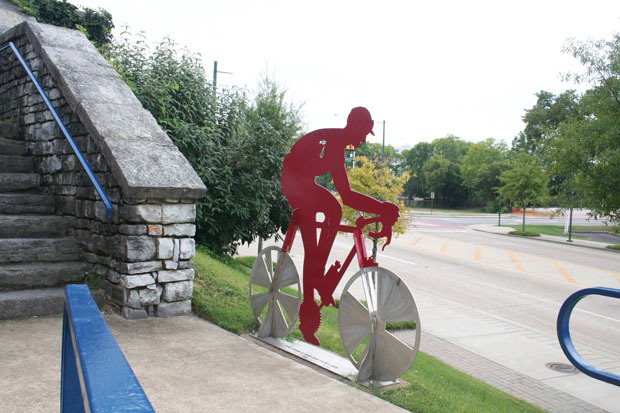 Rent a bike and pedal the Tennessee Riverwalk over the Walnut Street Bridge, one of the world’s longest pedestrian bridges. 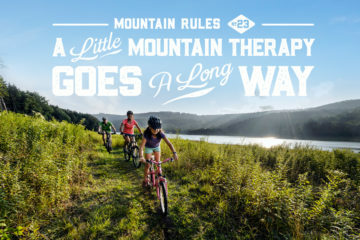 Grab your bike and ride the East Rim Trail on Raccoon Mountain for breathtaking views of the city and access to intermediate and expert trails like MegaWatt and Table Rock. Climb the best rock in the Southeast at Tennessee Wall, or just watch the experts do their thing from solid ground. Take a trail run to Lula Lake Falls in the Lula Lake Land Trust on Lookout Mountain. Get high—2,000 feet high—in a glider at the Lookout Mountain Flight Park. Chattanooga will host an IRONMAN triathlon for five consecutive years beginning in 2014. The mighty James River flows through the heart of the city, one of only a few truly urban whitewater runs in the country. The 2.5-mile run from Reedy Creek to 14th Street is a locals’ favorite, featuring Class I-IV whitewater and well known rapids such as Lulu and Hollywood, named after the Hollywood Cemetery that overlooks it – also a great place for a late afternoon run. You can pick up the James River Park system of trails at Belle Island and run, hike, or ride over 10 miles along both banks of the river and in Forest Hill Park. You can also get some urban climbing in at Manchester Wall, a set of four railroad pillars that offer over 40 routes in the 65-foot range. City pocket parks like Powhite and Larus maximize their space with honeycomb trail systems. 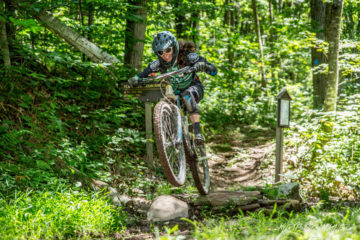 Head south to Pocahontas State Park for over 40 miles of excellent singletrack surrounding scenic Beaver and Swift Creek lakes. Adding to Richmond’s outdoor cred is that it’s the host of the Xterra East Championship Off-Road Triathlon, which uses the James River trails for its running and biking portions. It will also host the 2015 ICU Road World Championships, one of the world’s premiere cycling races held for the first time in the U.S. since 1986. Despite the political gridlock of the District, the city has a lot to offer the outdoor enthusiast, no matter if you are blue or red. In 2010, we named D.C. one of our top Southeastern running towns, thanks to running clubs like the D.C. Road Runners and Washington Runners Club. Runners can hop on the Capital Crescent Trail, a popular rail trail running from Georgetown to Silver Springs or join the Cherry Blossom 10 mile, one of the nation’s most popular races. Just upriver from downtown is Great Falls Park and Mather Gorge, with world class Class II-IV paddling, miles of hiking trails tracing the Falls, and biking for all skill levels. Northwest Branch outside College Park has established bouldering routes or top rope at Carderock in Great Falls. These urban adventures are great, but our founding fathers chose the site of our capital for a reason: its accessibility. 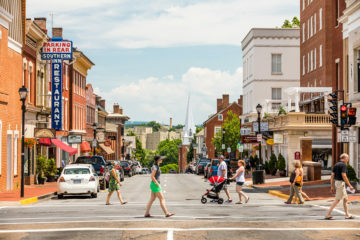 Some of the best parts of Maryland, Pennsylvania, West Virginia, and Virginia are just a short drive from the city limits. 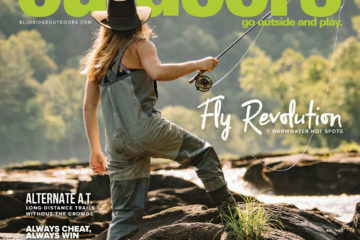 This up and comer is starting to embrace its location on the Tennessee, Clinch, and Little Rivers, and investing in the Knoxville urban wilderness with over 40 miles of trails two miles from downtown. 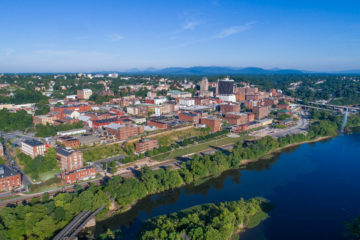 With epic biking and climbing in Big South Fork to the north and GSMNP to the south, expect to see Knoxville contend for the top spot in the years to come. This finance hub is the home of the Charlotte Whitewater Center, training center for Team USA. Just outside of town, climb the summit of Crowders Mountain or head east to the Wood Run mountain bike trails of Uwharrie National Forest. Tobacco Road may be dominated by hoops fans, but water flows everywhere and this area boasts a thriving music and festival scene. W.B. Umstead State Park contains over 20 miles of secluded hiking trails and is one of the few North Carolina state parks that allows biking. Smallmouth and Roanoke bass fishing can be found just outside of town on the Eno River as it flows through Eno State Park. 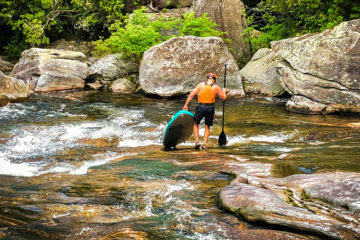 From downtown paddling to downhill mountain biking, you can pretty much do it all in Greenville, which may become the next Asheville, with its ease of access and cool mountain vibe. 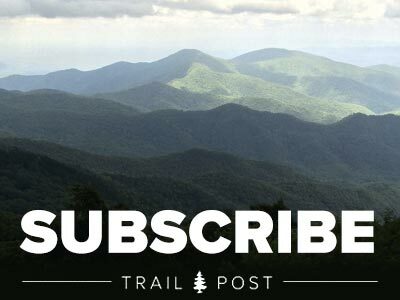 The Mountain Lake Wilderness Area holds 50 miles of the best hiking in South Carolina, and the 371,000-acre Sumter National Forest is perfect for a weekend backpacking trip along the Chattooga River. Hotlanta’s proximity to the mountains of North Georgia make it a hotbed of outdoorsy folks: excellent mountain biking, hiking, and fishing in Chattahoochee National Forest are just an hour north of the city. Meanwhile, Stone Mountain and the Chattahoochee River National Recreation Area are within city limits. Throw in urban bouldering at Boat Rock and the 1996 Olympic mountain bike course in the suburbs, and some of the world’s top runners in the Atlanta Track Club, and it’s easy to see why Atlanta is one of the region’s best outdoor cities.